Discussion in 'Hunting, Fishing & Gathering' started by pab1, Apr 16, 2019. My son and I were fishing a small stream that runs through town a few days ago. Most of the fish in this stream are small but they're a lot of fun on a 2-3wt fly rod or UL spinning rod. My son attempted to approach a spot that normally holds fish only to spook them. He told me that there were several trout darting back and forth in the hole but he said the biggest one wasn't a trout. I took a look and sure enough there were several 5-7" brown trout gathered around a mountain whitefish that was about twice their size. I tried several flies but they were spooked and not interested in feeding. The only fish I was really interested in was the whitefish. I've been thinking about it and planning my next strategy to catch the whitefish ever since. This got me thinking about the attitude most people have about whitefish and other fish many consider to be trash fish. Whitefish and trout are both in the salmonidae family. Though usually in different parts of the water column and often different parts of the stream whitefish feed on the same things trout feed on. I've caught whitefish on dry flies, nymphs, streamers and in-line spinners. 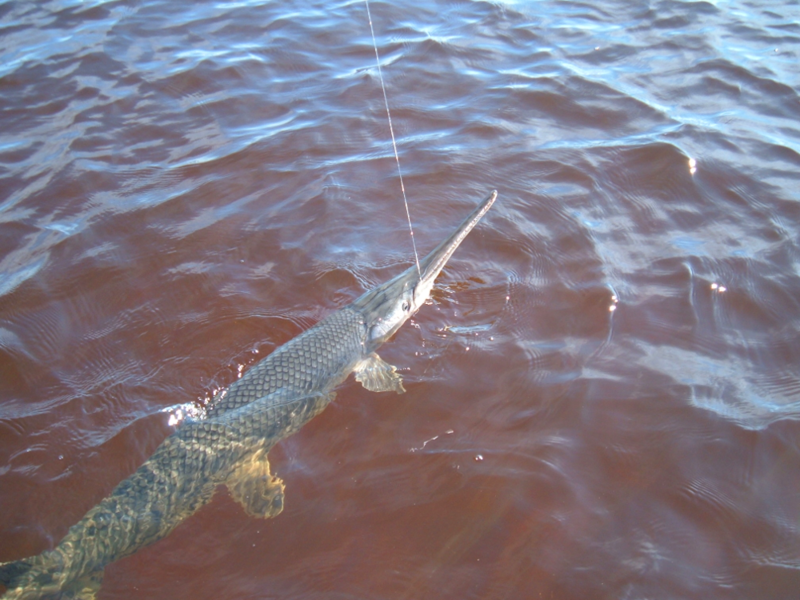 When hooked whitefish fight in a similar way to brown trout and cutthroat trout, diving deep and rarely jumping. A few years ago while fishing the Big Hole River I found an outstanding run. I caught brown trout, brook trout, arctic grayling and whitefish on dry flies all in the same run. The two biggest fish of the trip were a tie caught within minutes of each other in the same run. One was a 17" brown trout and the other was a 17" mountain whitefish. Both were hooked on the same stimulator fly and both put up great fights on my 4wt rod. I was distracted when the brown took the fly and luckily he hooked himself. The whitefishes "porpoising" take is burned into my mind as some takes are. I was just as happy with the whitefish as I was with the brown. What really got me thinking about the "trash fish" mentality is a fly fishing show I recently watched on Amazon Prime. 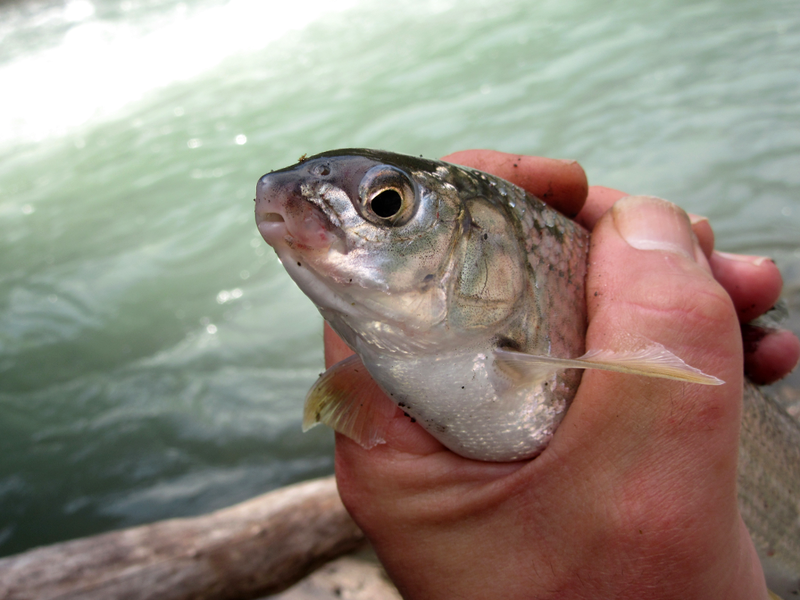 While fishing a small stream here in Montana the host hooks several very nice whitefish only to be disgusted when he realizes what he's fighting is a whitefish, not a trout. The fish put up a great fight and was released (although whitefish are delicious) so why should he be disappointed? Another "trash fish" I enjoy catching is carp. Many people experience the fight of their lives only to be disappointed to find out a carp is at the end of their line. I can't understand this mentality. Some of the longest runs and biggest grins I've experienced have been from carp. Over the last 20+ years some fly fisherman have come to realize how exciting carp fishing can be. The only other "trash fish" I have experience with is suckers. More than once I've tried to hook a sucker swimming past when nothing else was cooperating. Their fight might not be the greatest but its better than catching nothing. I rarely fish nymphs with indicators. I recall two times that I witnessed people catching suckers with a nymph under an indicator that had drifted into the shallows. I was excited for them. I try to catch as many species as possible with a fly and I've never caught a sucker on a fly rod. Neither of them shared my enthusiasm and both were disgusted by their catch. One thing to consider is than bonefish were once considered to be trash fish. Now people pay a lot of money for the opportunity to fish for them. Whitefish have more than a passing resemblance to bonefish. Carp are often referred to as rocky mountain bonefish since their feeding habits and challenge presented with flies are similar to bonefish. Sorry for the long rant. How many of you enjoy catching what many others consider to be "trash fish"? Paulyseggs, southron, jackpinesavage and 28 others like this. Paulyseggs, PERRO, kronin323 and 8 others like this. Paulyseggs, kronin323, Guillaume Longval and 9 others like this. PR and echo chamber. It's all about public relations and advertising and which outdoor author wrote about the bias. My favorite fish is chain pickerel on a deer hair bass bug, topwater. Watching the water part with an alligator-like strike is just primordial. I know guys that will catch pickerel while fishing for bass, get mad, kill them and throw them on the bank. The same guys will pay to fish for pike. kronin323, JeffG, CivilizationDropout and 8 others like this. Saltwater toad fish has got to be one of the nastiest fish to catch. JeffG, CivilizationDropout, pab1 and 7 others like this. kronin323, JeffG, CivilizationDropout and 9 others like this. Paulyseggs, kronin323, JeffG and 9 others like this. I thought your thread was going to be about large mouth bass, or "sewer trout" as my FIL used to refer to them. We used to fish some creeks and small rivers here (both about the same size across) for bream and bass. We caught some of both and generally released them after bringing them in. On occasion we would hook a 4-6 lb drum in the same water. There was no doubt what you had hooked, and the fight was generally measured in minutes rather than the seconds that it took to land the average bream or small bass. They generally got released as well. The longer fight of the larger fish was enjoyed by the one holding the rod and envied by the onlooker. I miss fishing those creeks. Much of the property where we accessed the water is now posted. Paulyseggs, kronin323, JeffG and 10 others like this. Paulyseggs, kronin323, beestokk and 17 others like this. The biggest fight I ever had in fresh water came from a sheephead. It was enormous. Had to be at least 3’ long and at the hump on its back was almost two feet tall. It was odd, as I remember it almost disc shaped. It took three of us almost 4 hours to land that fish. Caught it on the bottom off a dock in the Upper Niagara River. Paulyseggs, kronin323, JeffG and 8 others like this. People consider American Shad to be "Trash" fish because of all the bones, but they are sure fun to catch! Paulyseggs, kronin323, RavenLoon and 10 others like this. I love to catch Sheephead when I go up to lake erie- they put up a really good fight. Carp are fun also but I have only caught one small one on a my fly rod- but I really enjoyed it. kronin323, JeffG, CivilizationDropout and 5 others like this. One man’s trash is another’s treasure. As a dedicated carp angler I have heard more disparaging things leveled at both the fish and me than I care to remember. In the fish business I have to laugh when I read some fancy high brow chef singing the praises of a fish that just a scant few years ago was considered a trash by catch, or is grown –literally -- in an Asian sewer. The lobster, that at one time was fed to prisoners and considered barely fit for human consumption, today the shelled meat is selling for almost $50.00 a pound. Paulyseggs, Seacapt., kronin323 and 10 others like this. There are several species of “trash” fish that are super fun to catch. Drum, skipjack herring, carp, etc... Some of them are fine eating, some of them aren’t. But it’s still fun when they bite. kronin323, JeffG, CivilizationDropout and 6 others like this. Paulyseggs, kronin323, JeffG and 7 others like this. CivilizationDropout, wingnuts, jasam and 6 others like this. I think not. The above posts seem to be referring to freshwater drum, which often gets called sheepshead in some regions. SkipJunkie, CivilizationDropout, wingnuts and 7 others like this. Yep freshwater Drum...aka Reef Donkey, Farm Animal, Catawba Dolphin, etc. IIRC the salwater sheepshead have dark black lines on their sides. I would think the freshwater drum more closely related to redfish than Saltwater Sheepshead...but I am no fish expert (Ichthisomethinoranother) - but I have stayed at a holiday inn express. rk_az, 45jack, CivilizationDropout and 5 others like this. I'm always down to catch about anything. Along the lines of this thread I've been on a mission to catch some carp and white suckers on the fly. I've managed two hog nose suckers, but never the other two. I do a lot of tight stream fishing and to me creek chub, shiners, and the like are just as fun as other fish when you're carrying a 3wt or a tenkara rod. CivilizationDropout, rustystove2017, woodsranger and 3 others like this. You are correct. Freshwater drum, red drum (saltwater), and black drum (saltwater) all belong to the same family, but are part of different genera. I'm not sure if any of the possible pairs of these 3 are more closely related than the others. However, they are all more closely related to each other than to the saltwater sheepshead (different family). I'm no fish expert either. I have the Google, though. Paulyseggs, CivilizationDropout, rustystove2017 and 1 other person like this. Growing up, my grandparents (who taught me most of what I know about fishing) always referred to carp, cats, and sheep heads as trash fish. But I never did. I enjoy every fish I catch. Sure, some I might not eat, and I’m always a tiny bit disappointed when the fight I just went through for 10 minutes is a pissed off bluegill instead of a good sized bass, but I still enjoy the fight. So, I’ve never caught a trash fish. HOWEVER. Every crappie I caught in Michigan tasted like the bottom of a pond. So, I stopped keeping them when I’d catch em. But here in CA everyone seems to love them. Guess I gotta figure out how to target em. I mainly fish with the aim of getting food. As my father in law says, “even a trash fish will still make a turd. If you’re starving, fry it up!” But I also spend a couple hours now and then just doing C&R, practicing getting food. kronin323, CivilizationDropout, rustystove2017 and 2 others like this. Yes, technically freshwater drum. Most people in that area refer to them as sheephead or even carp. CivilizationDropout, rustystove2017, badgerthehobo and 3 others like this. CivilizationDropout, rustystove2017, jasam and 2 others like this. I haven't seen the name "buffalo" mentioned for trash fish. Growing up we would see commercial fishermen on the Arkansas River close to my house loading their boats at the boat ramp. They used long hoop nets and sometimes had their 14'-16' flat bottom boats so deep in fish that I wondered where they sat coming back into the ramp. They referred to the fish as buffalo, and they were literally as deep as the bench seats in the boat. Most looked to be around 2' long to the best of my memory. JeffG, CivilizationDropout, rustystove2017 and 1 other person like this. Good to see that so many here can appreciate any fish willing to cooperate! Paulyseggs, JeffG, CivilizationDropout and 3 others like this. Ahhhhh, Grasshopper! There are no trash fish, only trash fishermen! All fish are beautiful, wild, living creatures made by our creator and are deserving of our respect. If you look down your nose at certain species of fish, then you are undoubtedly the type of person who will look down your nose at certain types of people as well. The problem is not the fish. The problem is YOU. Paulyseggs, CivilizationDropout, rustystove2017 and 3 others like this. Around here a lot of whitefish is served in restaurants commercially netted in Lake Superior. Nothing is wrong with the taste. Not too many people fish for them. Some times of year they can be caught off the piers but they have a soft bite and are hard to detect and hook. I've tried to eat suckers out of the streams and lakes but they have a disagreeable taste to me. It would be starvation food. Some people pickle or smoke them, then they taste ok.
pab1, Primordial, JeffG and 2 others like this. pab1, JeffG, CivilizationDropout and 2 others like this. Any fish ever caught was a trash fish to someone somewhere. pab1, badgerthehobo, CivilizationDropout and 1 other person like this. I live on the Gulf Coast, and I love to catch ladyfish (Elops saurus). 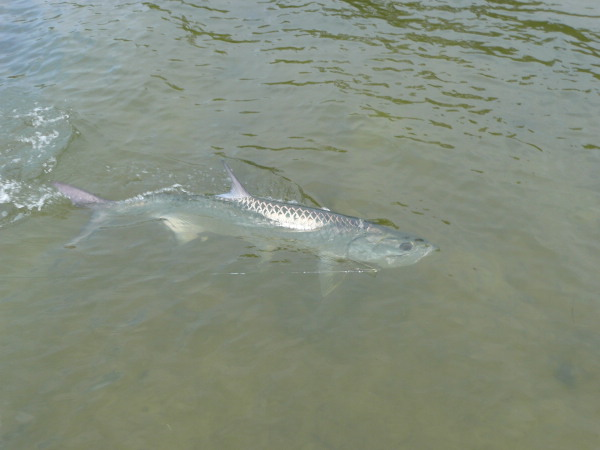 They are a small cousin of the tarpon, not good to eat (very bony), but they fight well if you're using an ultralight (I use an ultralight spinner with 4 lb test). GBinGA, Usingmyrights, pab1 and 3 others like this. The freshwater drum is pretty close to redfish (also known as red drum). . The saltwater sheepshead is a porgy. pab1, CivilizationDropout and rustystove2017 like this. Saltwater catfish are trash fish. They don't taste very good and they have venomous spines. pab1, CivilizationDropout and wingnuts like this. Perhaps traits which help them to survive! But beauty is in the eye of the beholder, I suppose. It is my belief that just because we may not have use for something doesn't make it useless, or "trash." I fear when I am older and feeble that some young pup or society as a whole may decide that I, too, am useless..."trash"...and thus dispose of me as such. Who is anyone to decide whether another is trash? God doesn't make trash, and while I personally see no reason for something like a mosquito, who am I to judge or question God's reasoning? I trust His is better than mine. BUT...that is just my humble opinion. rustystove2017, pab1 and CivilizationDropout like this. I just like to catch fish, don't care what they call it. And I agree some of the so called trash are great eating fish, you may just need to learn how to prepare it properly. But there fun to catch so bring'em on. kronin323, rustystove2017, pab1 and 3 others like this. Paulyseggs, kronin323, rustystove2017 and 7 others like this. Never had freshwater drum, Saltwater drum can be pretty poor eating when they’re large but sheepshead (salt) are just like tog! They are fun and even look like little tarpon! But man they make a mess! Those friggin scales get everywhere! Usingmyrights, rustystove2017, pab1 and 1 other person like this. wingnuts, rustystove2017, pab1 and 2 others like this. No the saltwater sheep’s head is not a porgy. At least not what is know as a common porgy. The taste and texture are far from each other! SkipJunkie, rustystove2017, pab1 and 1 other person like this. I didn’t know people considered chain pickerel trash fish. I’d love to catch some! We don’t have them around here. rustystove2017, pab1, woodsranger and 2 others like this. Only fish I caught so far this year was a sucker. I've been able to get out 4 times, one fish. No walleye around where I can fish. No boat, so I am stuck to public fishing spots on land. To me, the closest thing to a trash fish is a pike. And honestly, that’s just because they’re so bony. There’s absolutely nothing wrong with em. Meat’s good. Just full of bones. Freshwater drum don’t taste bad. The flesh is pretty white and flaky. I’d say it’s on the same level as bass, but not nearly as good as walleye, crappie, trout, bluegill, or perch. rustystove2017, Bryan King and pab1 like this. Yep! Went out for a couple hours after work today and had a blast with pickerel between 5" -11" . The best way to cook pickerel is over a fire until the meat starts to dry out just a bit and pull away from the pin bones. Problem solved! rustystove2017, Bryan King, pab1 and 1 other person like this. I love all fish. Except canduru, but that's a story for another thread. I love whitefish. In fact I just ate some last week. I find they taste great and best when eaten fresh. They don't freeze well due to the high oil content in their flesh. The meat isn't really firm and they have "y" bones and must be filleted out like pike, so those two reasons might be why some folks don't care to keep them. I fry the fillets like any other white fleshed fish. Fun times and skills practice catching creek chubs with a hand line. In my AO almost any creek contains these fish. I have thousands of tiny creeks in my region and come across them all the time. 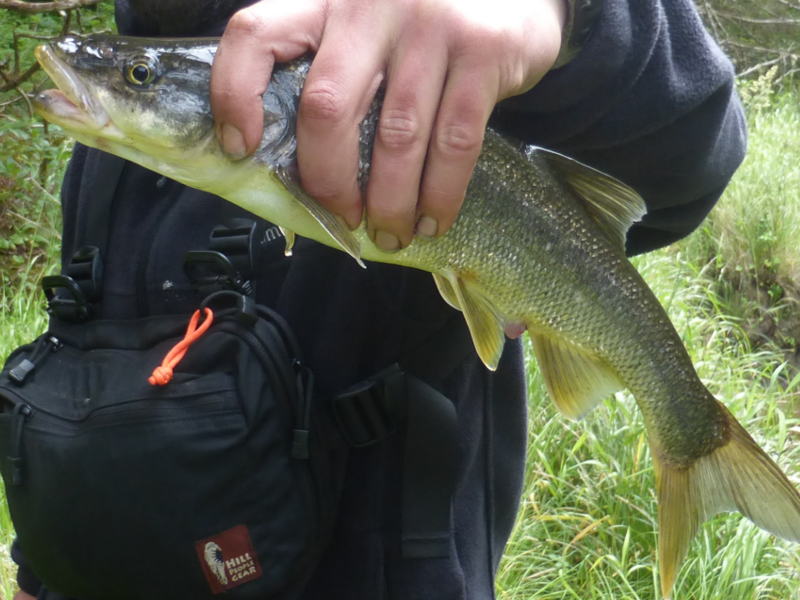 I've caught large chubs over 12" and have eaten them on extended outings as an almost "guaranteed food staple" in my foraged/caught food diet during such trips. Laugh now, but when all you got are 14 chubs to eat for a days worth of protein, you'll love 'um! I enjoy catching suckers too. This 20 plus inch, Long Nose sucker was probably almost a state record. I didn't know it at the time, and I ate it lol. I like catching herring through the ice. With a covered ice fishing tent you can sight fish them and hook set when you see them take the jig. These are mostly huge herring and whitefish plus a couple of coho salmon and deep water yellow perch mixed in. The Burbot aka Eelpout. Taste kind of like lobster when prepared right. Some people don't like the fish because it's an ugly looking bottom feeder. I like them because it looks like time has forgotten them. And I really enjoy a lazy half day spent sitting on the bank fishing for redhorse suckers. PERRO, kronin323, jasam and 8 others like this. That second photo looks like a beautiful spot! I'd love to find a really shallow stream that I can wade easily. Most rivers and streams that I find are too deep. When I was younger I would (stupidly) wade up to my chest, but now I don't like to go deeper than my knees. pab1, rustystove2017 and Primordial like this. Many rivers by me are quite wade-able. Most are high in early spring but for most of the fair weather months they have large shallow stretches interrupted by deep holes. pab1, woodsranger and rustystove2017 like this. There's more than one kind of saltwater cat. The harshest are said not to be very good eating and has hard spines that are painful. The sail cat is actually supposed to be decent, but it's the one with the venomous spines. One of my fondest memories of fishing as a boy was a day my uncle took me to a trout stream I had been dying to fish. My excitement faded to despair after a couple hours of no fish. My uncle suggested I try corn instead of the spinners was throwing. Within minutes of changing bait I caught my first fish, a fat chub. It was followed by an even bigger one that hit as soon as my bait hit the water. I don't know how long I fished or how many I caught but those "trash fish" turned the day around for me. I enjoy fishing but I love catching! pab1, Sandcut and Usingmyrights like this.